The constant wave of Windows 7 Beta chatter from Redmond, even without an official confirmation from Microsoft, is a clear indication that the company is gearing up to move the next iteration of the Windows client beyond the development milestone (M) stages. With the Windows 7 roadshow approaching at a fast pace, as Microsoft is getting closer and closer to events such as the Professional Developer Conference 2008 (October), Windows Hardware Engineering Conference 2008 (November) and TechEd 2008 EMEA (November), the first Beta build of the operating system is starting to take contour. Still, Windows 7 Beta 1 will not make it to the October and November conferences, as it is planned for availability in mid-December 2008. Microsoft has failed to either confirm or deny this piece of information at this point in time, but according to Mary Jo Foley, citing unnamed sources, Windows 7 beta 1 will drop just ahead of Christmas 2008. On Vista WinHEC 2008 homepage, Microsoft is claiming that Windows 7 “is coming soon” but doesn’t give any indication of the actual deadline, although it is rushing hardware manufacturers to get ready for the operating system. The Redmond giant released the first taste of Windows 7 back in December 2007. At that time, Milestone 1 was virtually indistinguishable from Windows Vista. Moving forward into the development process, the Redmond company has also produced a Milestone 2 Build of Windows 7, which was kept tight under wraps and wasn’t leaked like M1. 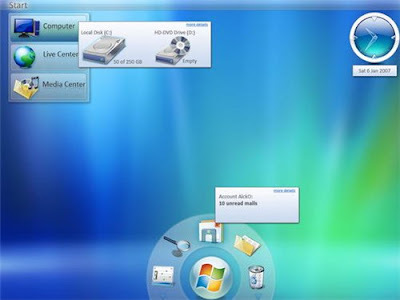 The next move as far as the evolution of Windows 7 is concerned is a Milestone 3 release, which in its turn will be followed by the first Beta build of the platform. One thing is for sure, under the leadership of Steven Sinofsky, Senior Vice President, Windows and Windows Live Engineering Group, Windows 7 will have a short Beta life, approximately a year. Microsoft is reportedly not preparing a wide release of Windows 7 Beta until the client is either feature-complete or very close to the final version. why its not working can u tell me?